Eight police officers have been attacked in Warrington in a week. 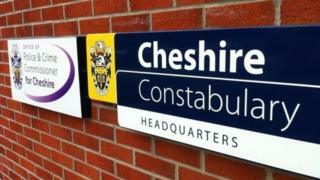 Ch Insp Simon Meegan, of Cheshire Police, said the assaults were "completely unacceptable". Of the eight officers hurt last week, six were female and two required operations. One female officer was attacked twice in four days, suffering a head injury in one assault. Ch Insp Meegan said three people had been charged over the unconnected attacks so far. He said said the spate of violence from 17-24 February was "worrying". "Assaults on officers are not uncommon but this has been an exceptional week," he added. "The nature of policing inevitably requires officers to deal with violent and challenging situations but, regardless of the situation, being assaulted by a member of the public we serve should never be seen as an acceptable 'part of the job'. "To assault a police officer or any other emergency service worker is to attack society itself."